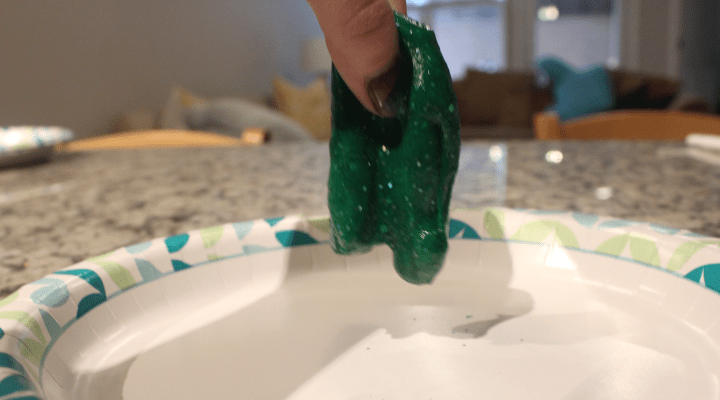 It can be a challenge, however, to find a safe, nontoxic slime recipe–especially if you have little ones who want to play with slime but still tend to put their fingers in their mouths. 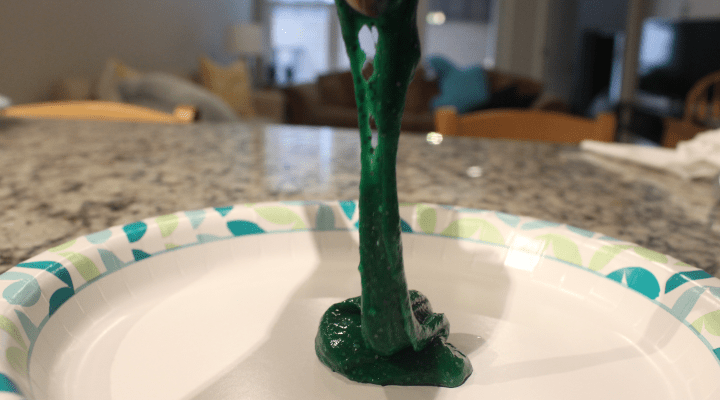 So we challenged our team to come up with a safe slime recipe that used one of our favorite oral health items–toothpaste!–as a key ingredient. 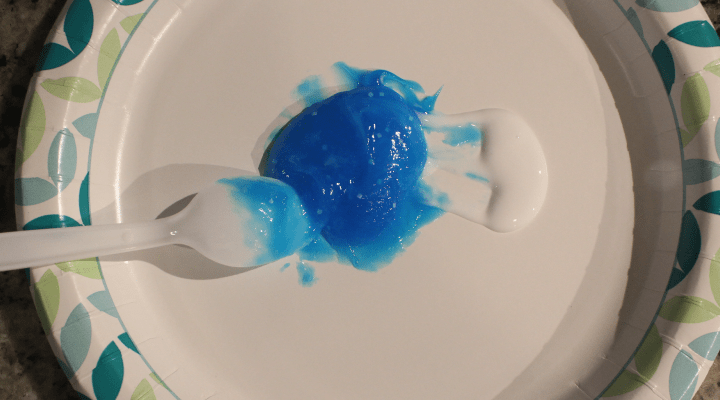 That’s right, toothpaste is for more than just your pearly whites; it can be used to make your own toothpaste slime! 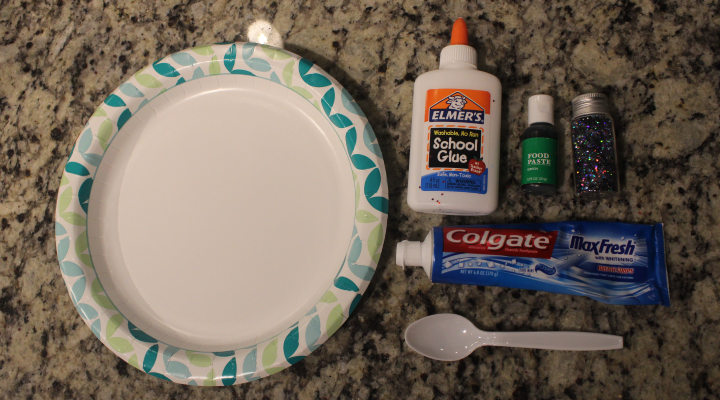 Start by squeezing a large glob of toothpaste onto your paper plate. Then squeeze another glob of glue on your plate. Avoid pouring the glue directly onto the toothpaste; you want to mix in a little at a time. 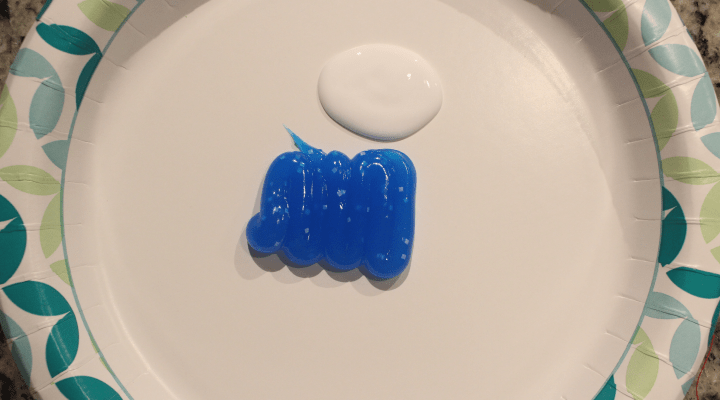 Begin mixing the glue into the toothpaste. Mix a little at a time, and mix it thoroughly. 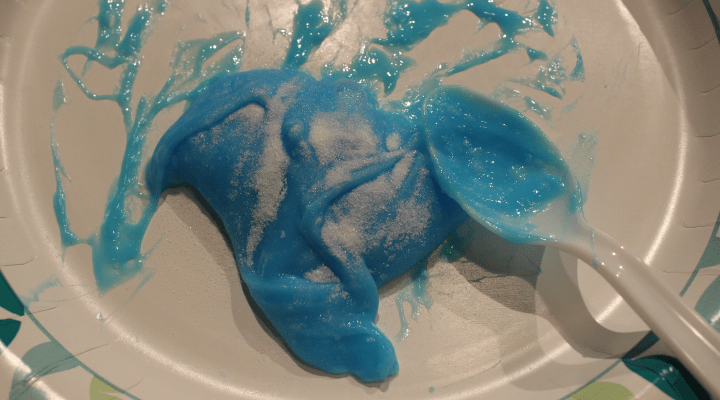 Mix the toothpaste and glue together until it becomes a bit slimy. 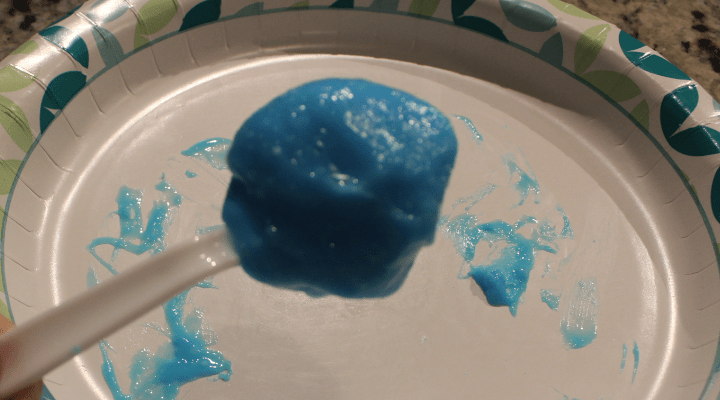 Add a little bit of sugar to the toothpaste-slime mixture. Mix it thoroughly before adding more sugar. The sugar will help the slime become more solid. 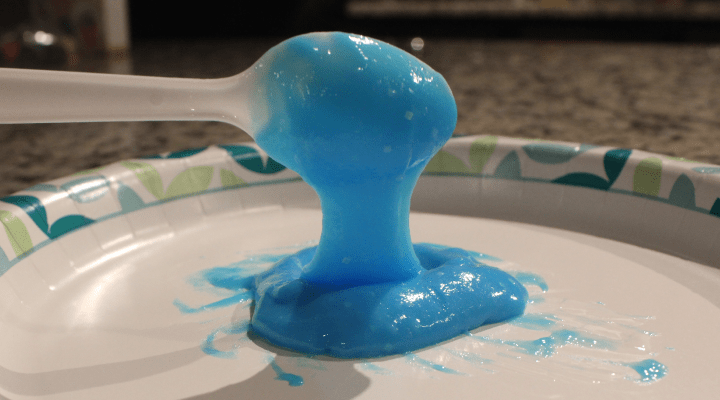 The slime should be able to stick to your spoon without falling off right away. Add glitter and food dye if desired. This step is optional, but makes it unique to each kid. 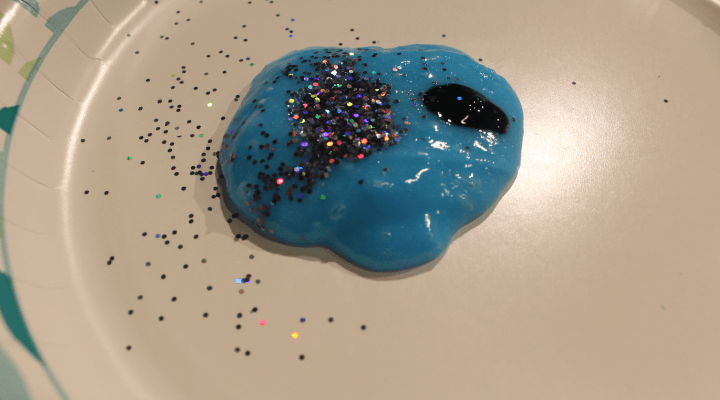 Mix together until the food dye and glitter is evenly dispersed. The slime should be stretchy and able to be picked up.